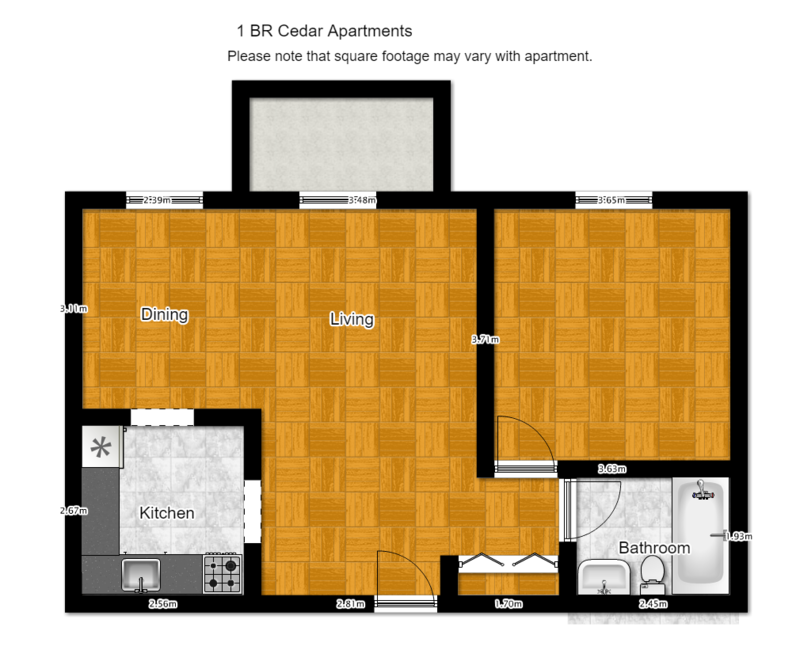 Cedar Towers primarily flaunt a retirement lifestyle. 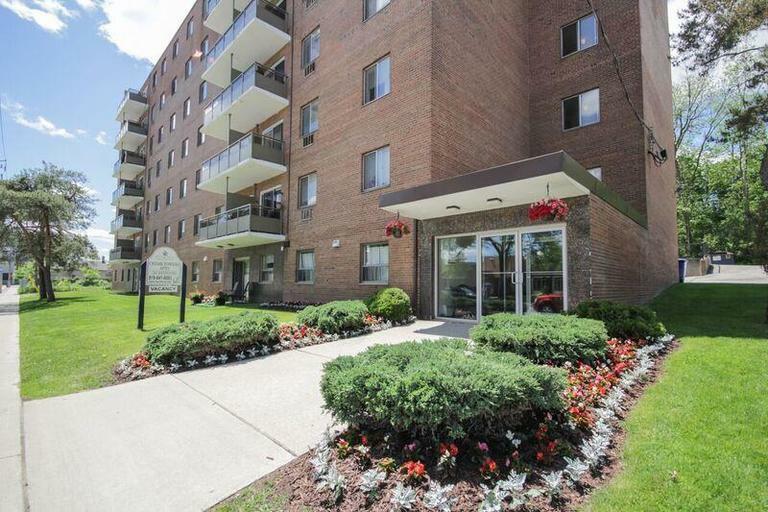 Backing onto a wooded area, Cedar Towers love their their community-minded residents. Living in these industry-certified rental apartments means you get great service and management, tested and recommended by the rental housing industry of Ontario. Go ahead and give our service a try! Excellent location within walking distance of downtown, the library, shopping including future theatre. 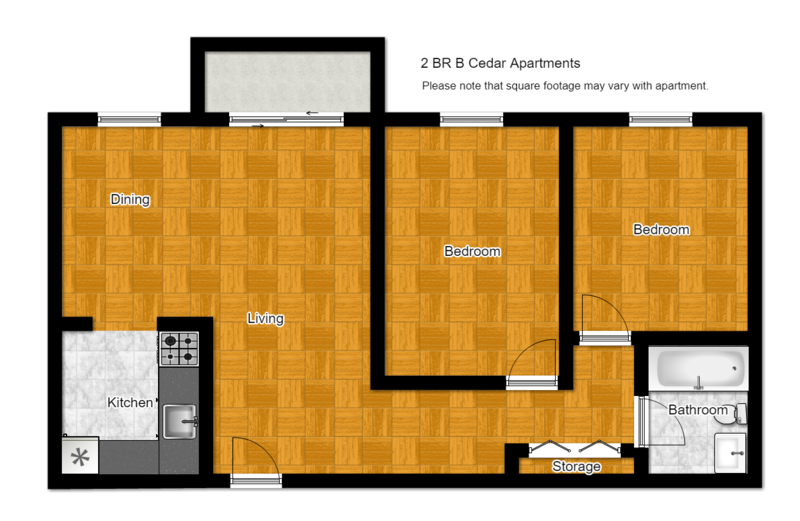 Please note: Square footage & pricing varies per layout. 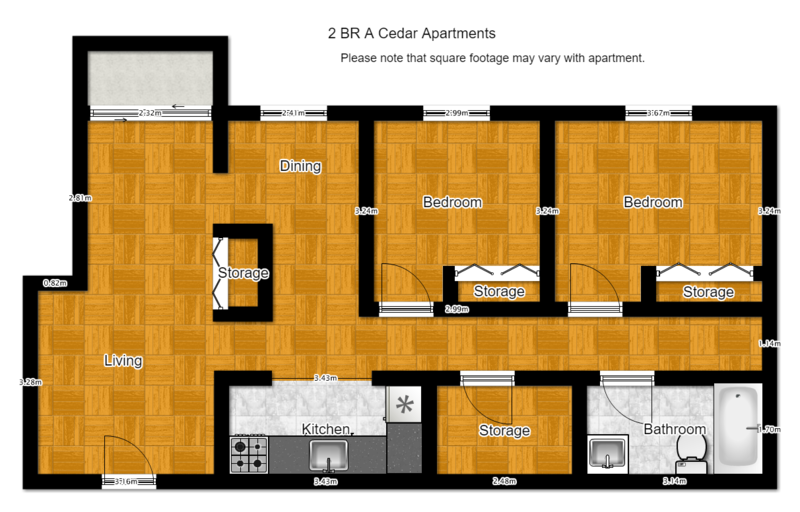 Try our room planner tool! I just wanted to give some feedback on my residence at George St in Cambridge. Myself and my wife are coming up to 2 years of living here. It was the best decision we made when choosing our new home. The building is immaculate for the age of the building and W&D are always doing something to upgrade or maintain it's appeal. Cleanliness is so important to me and my wife and we couldn't ask for it to be any better. Our resident manager Lorianne is cheerful, accommodating and passionate. Her husband as well is accommodating and fixes tasks promptly. They give it a personal and friendship feeling to both of us. Again we are so pleased to be resident's here and thought it would be nice for all to hear positive feedback for the work you and our manager at the building. I would just like you to be aware of the gem that you have in Loriann Anderson (building superintendent) at 10 George Street South in Cambridge, Ontario. You and especially us residents are so very lucky to have her. She not only keeps the building spotlessly clean and tidy but will go above and beyond in anything that she can do to help. She will help with lifting air conditioners out of vehicles to be put on a dolly and will bring it up to your apartment. NOTHING IS TOO MUCH TROUBLE FOR THIS TERRIFIC LADY. Please count yourself lucky to have her.